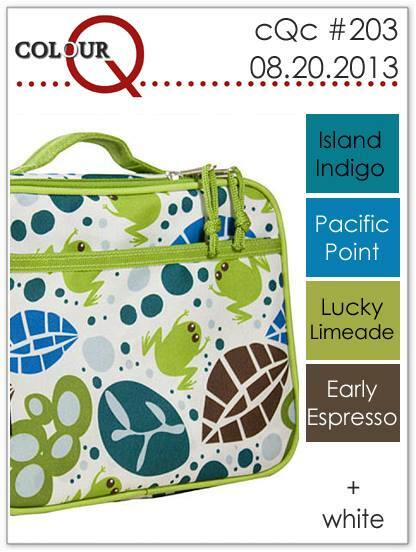 Beautiful tones this week I wish I had stamps to mimick this cute lunch bag. This stamp hadn't seen ink in a long time but I thought it would tie in nicely when I didn't have good ink matches for the blues but I had the cardstock. Quick and easy. I am also submitting this card to CAS(E) this Sketch challenge #41. I love the tree...the pattern in the leaves is fabulous Tracey. Fun colors this week! I love this little tree, great job with the sketch Tracey!! super cute! love these colors! what a pretty card.. love that adorable tree.. I really like your take on the sketch Tracey...using a tree was so smart and I think you have all the colors down perfectly. Perfect stamp for this color combo. 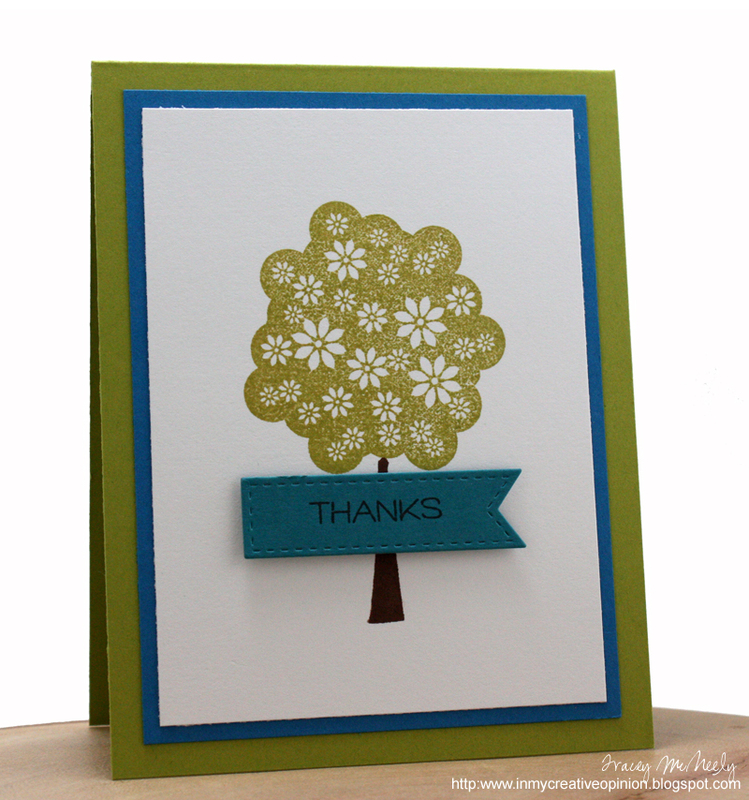 Love your beautiful card and this stamped tree. Such a great tree image and love how you used the sketch and colours! Love the tree! Those colors work just perfectly! Love that gorgeous tree stamp, Tracey, and the blue on green matting. Thanks for playing along with CAS(E) This Sketch this week! 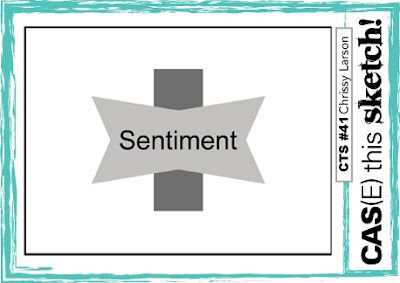 Love this sweet and simple take on the colour q palette! Clean and simple at its best! Love this, Tracey! This is so pretty and love the colors your chose. Well, you had no problems with those colors, you hit this one out of the park! Just too cute and so happy you used that tree, a nice reminder of what needed to be dusted off...Love it!